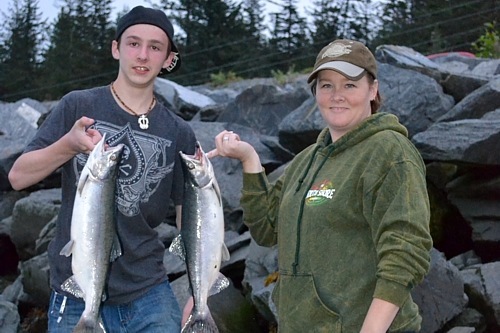 I’m going to share with you a simple recipe that I made for the first night on our fishing trip to beautiful Valdez, Alaska. Can you imagine fishing with this kind of a view? The landscape itself was only the beginning of the amazingness though. As you saw in my previous post, people weren’t the only ones fishing, and I have even more “other fisherman” to share with you in the next posts. But let me get back to dinner. 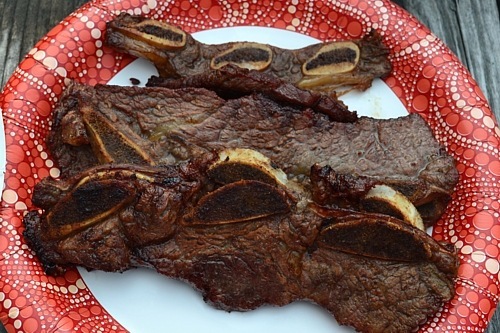 “Korean Ribs” are short ribs that are cut across the bone, creating what is like “medallions” of the bone, embedded in strips of thin steak. This recipe in particular I received from my dear friend “Mrs. Q” who was my neighbor and dear friend at Fort Bragg. 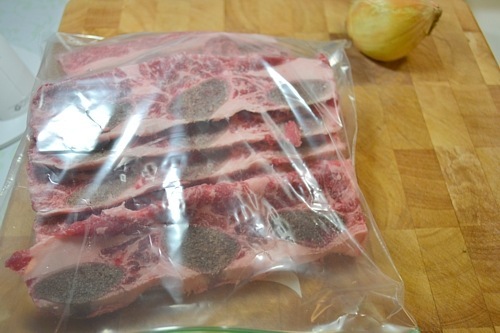 To begin, place about 2 pounds of these short rib cuts in a gallon sized ziplock bag. The amount isn’t really set in stone, make what you think you will need. 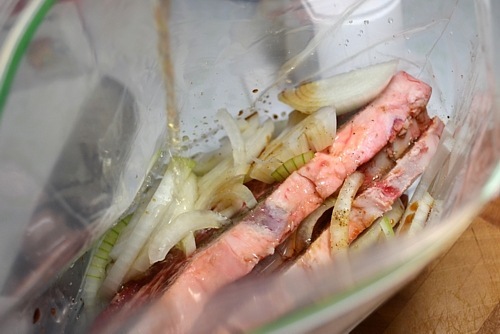 Of course if you are making “2 gallons” of ribs, you’ll want to double the next part. 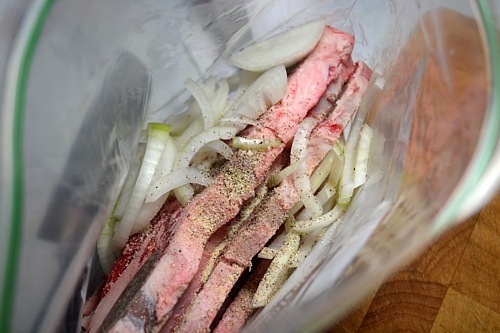 Then toss it, along with a half teaspoon each of black pepper and garlic powder into the bag with the meat. Pour in a cup of soy sauce. And a half cup of white vinegar. I mean really? How simple can you get? Close up the bag and squish it all around to mix it. 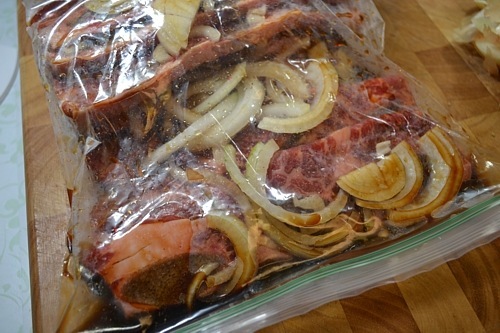 If you are doing this at home, let it marinate at least 4 hours in your fridge. Since we were heading out on an 8 hour drive, I placed this in a second ziplock “just in case.” and tossed it in the cooler. 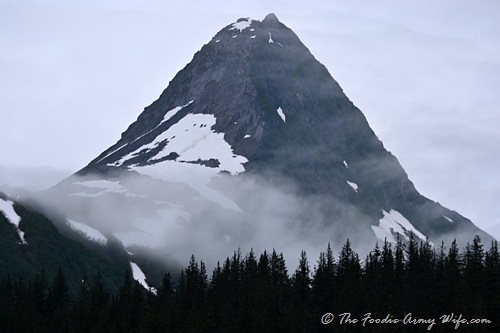 After we got down to Valdez, and set up our camper – we went on a little drive to see where we would be fishing, and gave our travel companions time to check into their hotel. 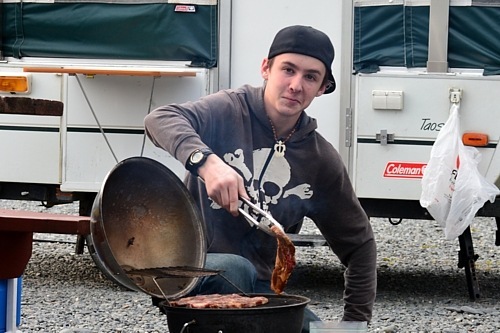 Then we all met at our camper, and the boys got busy cooking. This was our first time in Valdez, and there were no fire pits where we were staying. 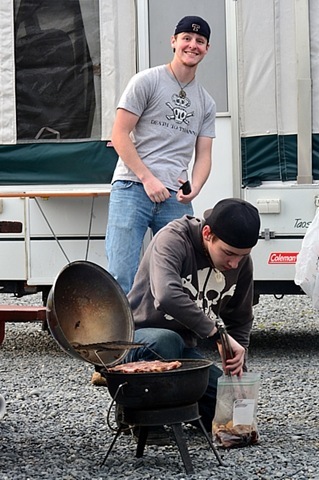 That was no problem, because we carry along our handy little grill. You can do this on any grill you choose, or even skewer them on a stick and let everyone cook theirs over the campfire like you would marshmallows! 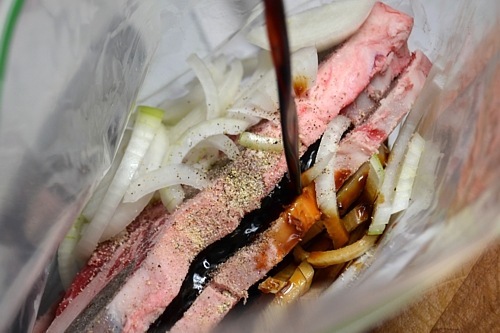 Begin grilling the meat, a few minutes on each side until your desired doneness. We went with about 5 minutes each side. When I make this at home, I do it on my big gas grill, and cook them all at once. Here we had to do a few at a time, since we were working on a smaller scale. Here are the first ones! 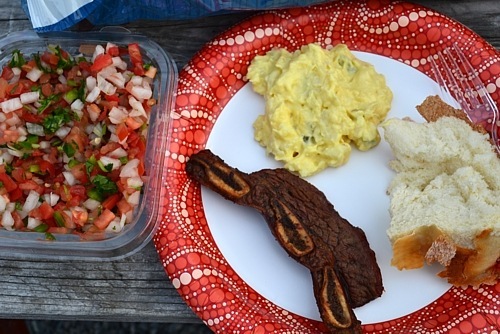 Enjoying the ribs with so potato salad, pico de gallo and MMMMmmm…..a nice hunk of bread. 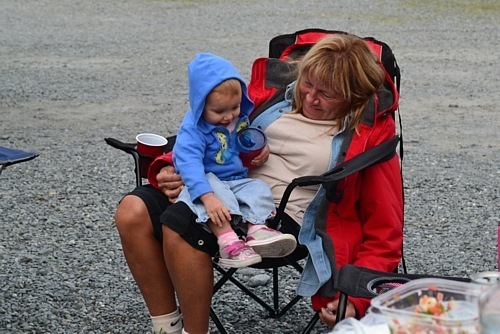 It was such a great way to start the weekend, with friends and visiting ones, like our neighbor’s mom who was in town visiting the grandbaby and experiencing Alaska. This particular meal was the kick-off for our first salmon fishing trip here in Alaska. And what a great way to start it off! 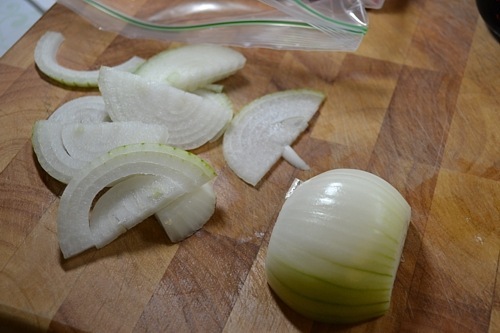 Combine all of the ingredients in a gallon-sized ziplock bag, and allow it to marinate at least 4 hours. Grill the ribs over a medium heat about 5 minutes on each side, or until desired doneness. Or…get creative and cook them, skewered, over a campfire!